Cognitive Dissonance: Why Are We So Complacent in the Face of Climate Change? It has rained incessantly recently in the Bolivian Amazon and in the Valleys. The waters that have flooded our territory since January, are thought to be the result of the worst rains in 40 years. More than 60,000 families have been affected—at least 350,000 people have had to leave their homes. They have lost almost everything they own: their animals, their crops, their daily lives. 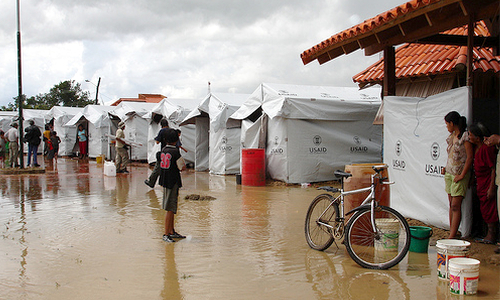 UNICEF has reported that 60,000 Bolivian children have been affected. Nine hundred schools have had to suspend activities for almost a month due to high risk. More than fifty people have died and some of their bodies have still not been recovered. And we cannot yet tell what the magnitude of the impact on health, food and the ability of communities to rebuild their lives will be as the floodwaters recede and the extent of the destruction is slowly revealed. One small example of how poverty triggers the vulnerability of communities comes from the situation of the indigenous people in the Isiboro Sécure National Park and Indigenous Territory (TIPNIS) communities. Though reports speak of huge losses of corn, rice, potatoes, soybeans, vegetables and livestock—with estimates of more than 250,000 head of cattle missing—it remains to be seen in the next few months what the economic impact of floods will be for these peoples themselves, and what the impact will be at both regional and national levels. In the face of the dramatic situation presented by this disaster both authorities and civilians across the whole country have mobilized to collect food, medicines and everything necessary to bring help to the affected communities. Above and beyond, these good intentions to come together to provide aid for those affected by the floods in the Amazon region and in the Bolivian valleys, we were far from being capable of confronting the dimension of such a disaster. Rainfalls are also far from being recognized as not an occasional event but rather as climate change events that will only repeat more frequently in the future. Not far from this region, droughts are hitting hard: in both the Chiquitanía region and the Chaco regions of Santa Cruz and Tarija there have been losses of thousands of hectares of crops, which is resulting in a silent forced migration to the cities. Just some months back the Bolivian Defence Ministry reported 247,000 hectares of land affected by the lack of rain, by snow or by fire. Meanwhile the loss of our glaciers is a sorrow to which we are becoming accustomed. Climate change is not just a scientific issue, nor is it just something which is of exclusive interest to UN negotiations, nor it is a warning for the future: it is already present in our times, in our territories and it comes with violence. Climate change affects people’s lives and it is already claiming many victims. We share this grief with millions of people across the planet who are suffering the same consequences. Just a few months back more than 11 million people were affected by super typhoon Haiyan in the Philippines. A million people were without electricity after snowstorms caused by the late winter polar vortex in the U.S. Thousands of people affected in the UK in what was considered the worst flooding in 200 years. Thousands of hectares of forest burned annually in Australia by the alarming drought and heat. 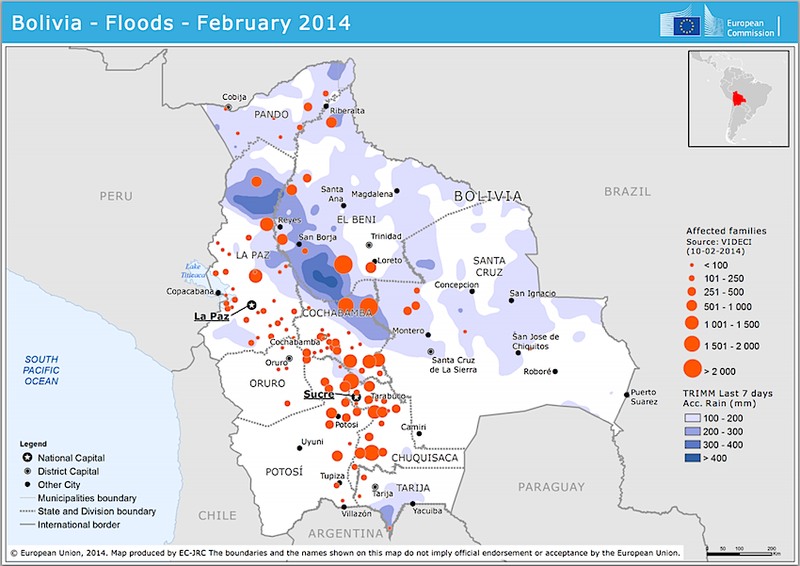 Thousands affected in Central America, Argentina, Brazil, Colombia, Uruguay, Paraguay and other countries. Twenty-five million souls were driven into uncertainty by water shortages, the result of droughts and heat waves in California. A deadly landslide with more than one hundred people missing in Washington State, the result of heavy rains. Millions of humans and ecosystems at risk in various parts of the world … News that nobody wants to hear, but which we will inevitably be forced to confront in our own lifetimes, even though the news appears first as cold statistics in the press. As I write I’m on the train to Stroud, for a lightning trip to congratulate our new Green Party MEP Molly Scott Cato, who becomes our third representative in Brussels, with London’s Jean Lambert and the South East’s Keith Taylor re-elected. Those results came on a good night for the Green Party – we finished fourth in the European parliament election, comfortably beating the Lib Dems (who finished with just one MEP) into fifth place. It was result achieved despite extremely limited media coverage – there’s no doubt that we got vastly more votes per minute of TV coverage than any of the other four large parties. So why did it happen? Partly, undoubtedly, as our strong local election results indicate, it was the result of solid on-the-ground campaigning, going door to door, holding stalls, delivering leaflets. But more than that, I think what won many votes was our message of hope, of positive change, offering a plan for real change to ensure that our society works for the common good, the 99%, not for the few, the 1%. Policies such as making the minimum wage a living wage, renationalising the railways, keeping our NHS publicly owned, publicly run and free at the point of use, investing in renewable energy (while banning fracking) and providing warm, comfortable, affordable-to-heat homes all played their part. But it was above all our determination to look forward with optimism, to say that we do have within our democratic power the ability to create a better society, one in which everyone has access to the resources for a decent standard of life (which means jobs you can build a life on and adequate benefits for everyone who needs them) within the limits of our one fragile, overstretched planet. That means standing up to the politics of fear, as represented in the form of Ukip – which seeks to blame our many, obvious, problems in society on immigration and Europe. Sadly, the Tories, Labour and Lib Dems have failed to tackle this narrative – to unpick how our low wage economy, housing crisis and crowded schools and hospitals are not the fault of immigration or immigrants. To start with low wages – no immigrant arrives at the White Cliffs of Dover and says “I want to work for poverty pay, be shamelessly exploited and pay extortionate rents for a bed in a shed”. Low wages exist because we have an inadequate minimum wage, inadequately enforced, and the power of unions to help workers to band together to resist has been shredded by legislation. Housing? Well that’s complicated, but worth starting with the fact that there are now more bedrooms per person in Britain than ever before (huge inequalities of access here as there are in income and wealth), and at least 600,000 empty homes, mostly in the North and the Midlands (the result of failed and non-existent regional development policies, and one more reason why we shouldn’t build HS2). And schools and hospital? Michael Gove’s free school laissez-faire approach has left local authorities unable to plan for demand, and funding for both is seriously inadequate. When you consider the failures of successive governments these facts represent, it’s perhaps not surprising that Labour, Tories and Lib Dems would rather go along with the Ukip narrative on immigration, and try, all too often, to out-Ukip Ukip, in promising curbs on immigration and introducing the disastrous, unworkable Immigration Act, as well as chasing after their climate change-denier agenda on wind turbines and other energy policies. Instead we’ll continue to say, loudly and proudly, that we celebrate free movement of people within the European Union – which results in roughly balanced numbers of expatriates and incomers for Briton, and that we should continue Britain’s proud tradition to providing asylum to victims of persecution and war, and hosting foreign students to our mutual benefit. The BBC asked me this morning if the arrival of Ukip (and even darker parties such as the Front Nationale) in Brussels would be disruptive. I agreed that it will be. But disruption, creative chaos, real change, is just what our stale, failed political system needs, just as the angry voters, lashing out or expressing frustration by either voting Ukip or staying at home (as 63% did), need to be offered hope. Our political future doesn’t look like the past. Happily. Tameside Green Party gained increased votes in the recent local elections on Thursday May 22nd. The Total Votes cast in the Tameside MBC elections were 55,875 with tameside Green Party polling 5,345 votes which was 9.56% of the total votes cast in Tameside. A notable Green Party result was in Mossley where Christine Clark gained 23.6% of the total votes cast in Mossley. A full breakdown of the election results are shown below along with the Green Party percentage of the votes cast in each ward.